We're adding new classes daily! 03/28 Not currently employed but need to renew your certificate? 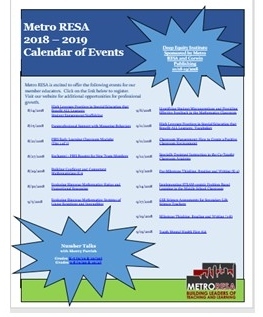 - Click here for more information about how Metro RESA can help! 01/05 Metro RESA GaTAPP is now accepting applications!! - Are you interested in becoming a teacher? Apply now!! 08/14 Educator Resources from the Atlanta Botanical Garden - Workshops and More!